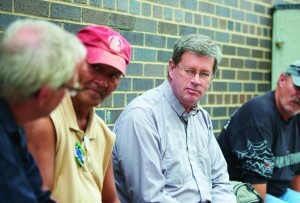 Deacon Dan Rider of St. Peter in Tilden and St. Charles Borromeo in Chippewa Falls clearly remembers when his connection to the homeless in Eau Claire first began. It was a cold night in December 2010 that was featured in the local news. “We had a huge snowfall in this area. I think we got two feet of snow,” says Deacon Dan. Inspired by news that Catholic Charities and a local evangelical church planned to open a homeless shelter in Eau Claire, Deacon Dan got involved. 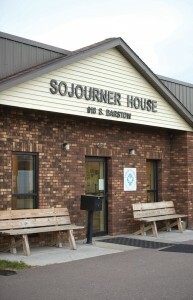 He was part of a group of concerned Christians who renovated a local building to create Sojourner House. 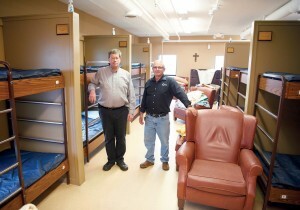 The homeless shelter opened its doors on Nov. 1, 2011, and offers beds for 32 men and 16 women every night of the year. From 7 p.m. to 8 a.m., single adults with no home can come to Sojourner House for a meal, take a shower, wash clothes and have a bed to sleep in for the night. Space is available on a first come, first served basis. Those who have stayed at the shelter for more than 90 nights are required to go to the end of the line to allow others the opportunity for shelter. 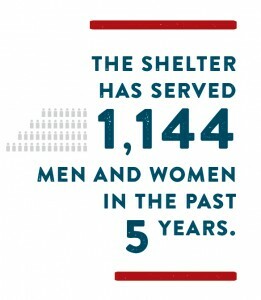 The shelter has served 1,144 men and women in the past five years. 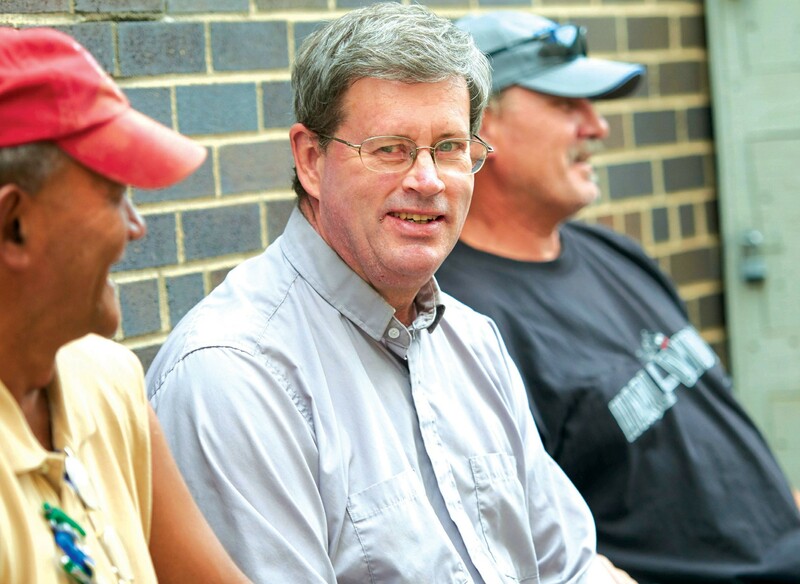 With only one paid staff member at the shelter, volunteers are a valuable commodity in the success of Sojourner House. Most days have parish groups that provide the volunteers. One of the first residents was Deacon Dan’s former classmate. After being ordained to the diaconate in 2007, Deacon Dan worked primarily in marriage preparation and with hospital ministry. Even after ordination, his formation studies on the works of charity continued to be an important focus of his faith and service to the church. While Deacon Dan and his wife, Julie, were not intimidated by working with the homeless in an urban environment, others did not always feel the same way. During his recruitment visits to parishes, Deacon Dan did have people concerned about safety when volunteering at Sojourner House. “From a faith standpoint, it can only strengthen my faith, because you recognize how fortunate you are and how good you have it. When you see their situation you’re of course very happy to help, but you can see how much they need it and you’re happy to help in any way you can. They’re also just so good and so grateful and you know they’re good people.”–Gary and Patricia Gray, from Notre Dame Parish, have volunteered every quarter at Sojourner House for 5 years. Volunteering with the poor has become a tradition for the Rider family. Their three grown sons have all volunteered at Sojourner house, and their daughter is looking forward to her volunteer hours as soon as she meets the age requirement. The Rider boys all took their experience at Sojourner House and put it to good use. “My oldest son lived in NYC for a few years and he helped out with homeless there,” says Deacon Dan. Their second son volunteered in a homeless shelter as part of his nursing training, and the third son volunteered at a homeless shelter while studying abroad in Oslo, Norway. “He got quite an experience,” Deacon Dan says. Service to the poor is an integral part of our Catholic faith, Deacon Dan believes. Whether help is offered through volunteer work at a homeless shelter or food pantry, or through donations of personal hygiene products, clothes, or food, Christ calls each of us to find him among those in need.